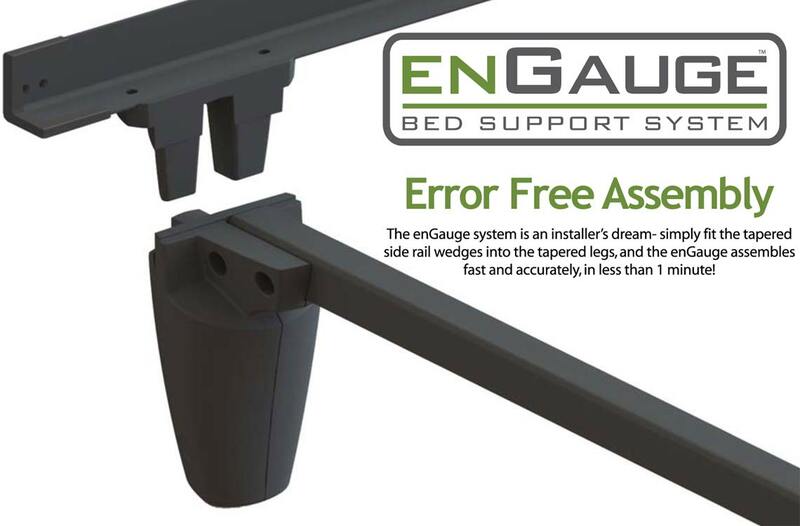 The EnGauge Bed Support System is a one-of-a-kind product that truly stands out as a fantastic value. Its sleek and stylish design make it fall more into the category of 'furniture' than 'bed frames and bed rails'. 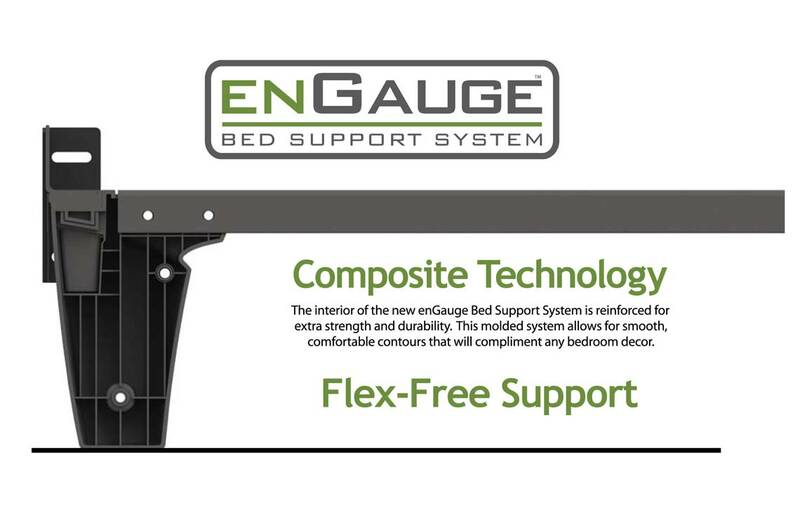 Technology, style, and functionality, all combine to create the best bed frame solution in the sleep product industry. 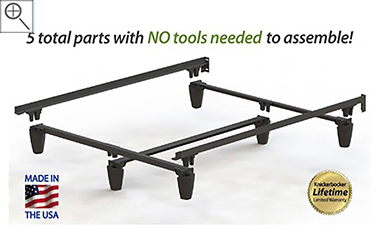 Extra-long 2" high side rails and double-angle cross rail - made of high carbon steel - combine to provide flex-free, motionless support, and strength. Its tapered legs are made from fiberglass-impregnated resin and will work on any kind of floor. 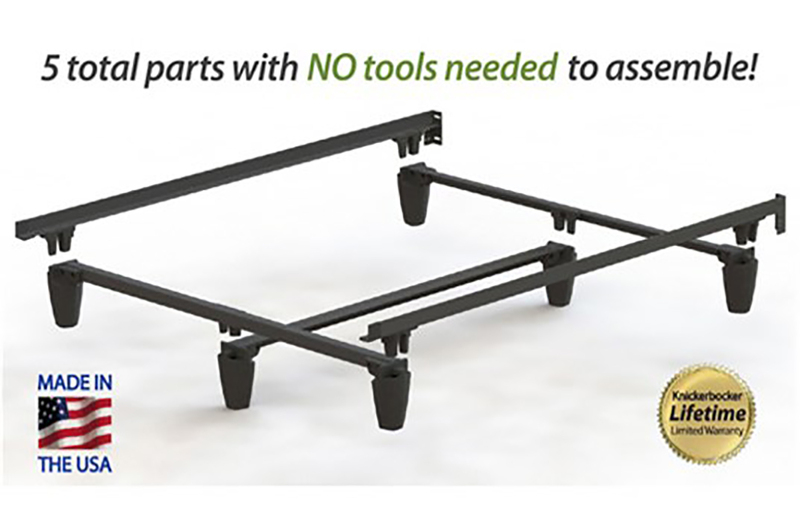 Assembly of the EnGauge takes less than a minute, is error-free, and requires no tools whatsoever! The angle iron at the core of Knickerbocker's products is fabricated in Pennsylvania from recycled railroad track steel. The massive furnace that begins the recycling process is powered by naturally occurring methane gas. The rail steel's high carbon content makes the angle iron incredibly strong, and the rolling process makes it even stronger. The final product is high quality, environmentally friendly, and Made in America. Knickerbocker's engineering department is credited with designing and developing many of today's most cutting-edge bed supports. There is nothing comparable to a patented Knickerbocker bedding support system! 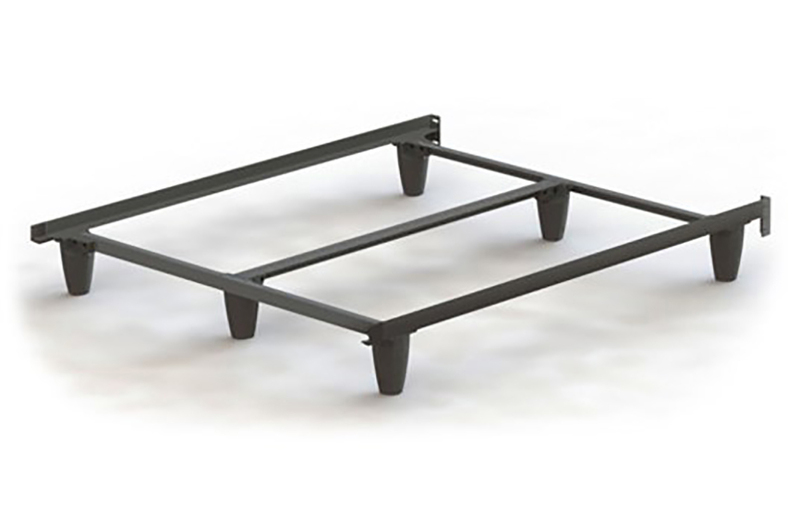 Heavy duty metal bed frame with 2x stronger side rails are taller and made of thicker gauge steel to help this frame support over 2000 pounds without sagging.